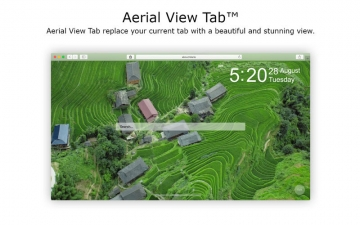 [無料] Aerial View Tab for Safari | Mac App Storeのアプリ検索・ランキング BuzzMac! 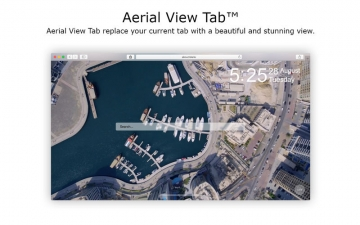 Replace your new tab with a beautiful aerial video tab. And enjoy your day with your personal dashboard and optional weather information. 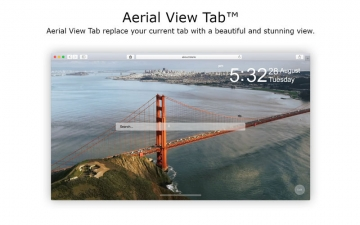 Also, this Safari extension extends the playing aerial video within the Safari navigation bar, so the navigation bar change together with the color that matched with the current playing video in your new tab. That makes this unique and colorful whenever you open each time the Safari web browser. This is built by the same developer as the Turn Off the Lights™ Browser extension. 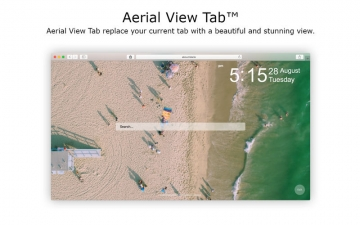 That created this new beautiful, simplistic and useful new tab page. This Safari extension replaces default the empty tab "about:blank" in the Safari web browser. It's easy to install and FREE to use. 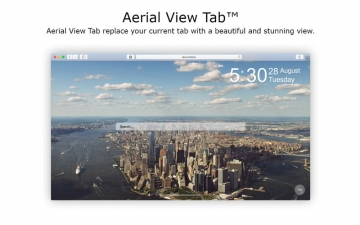 Give this remarkable Safari extension a try! They are all welcome to improve this Safari extension. Copyright © 2011-2019 Clore Corporation All Rights Reserved.